The CBI said Tuesday that the first look out circular against embattled businessman Vijay Mallya for his detention at airport was not sustainable in law and needed correction as there was no warrant against him at that time. The agency reiterated its position that there were no grounds to arrest Mallya on November 24, 2015 when he returned from London on the basis of the look out circular (LOC) issued on October 16, 2015 calling for his detention, agency sources said. The first circular needed modification as Mallya had been cooperating with the agency, the evidence were still being collected, he was a sitting MP and there was no warrant against him, the sources said. 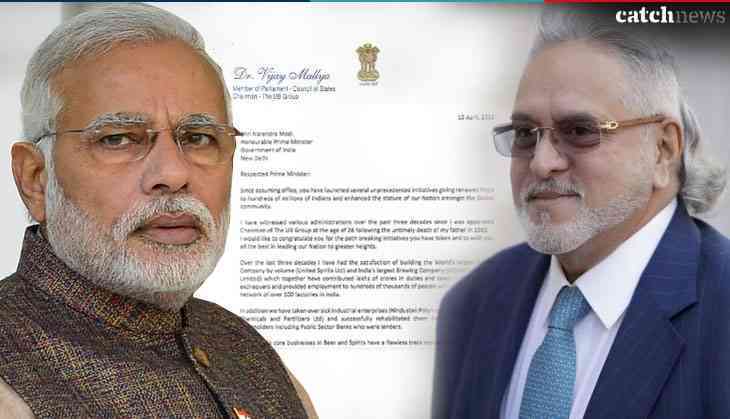 Realising the need for correction in the notice, the agency wrote to immigration authorities to change it from seeking Mallya's detention to informing the CBI whenever he was travelling abroad. The corrected look out circular was issued on November 24, 2015 and even after the issuance of the notice, Mallya continued to provide documents and answer questions of the investigating team, they said. He appeared for questioning thrice and made foreign trips four times after the new LOC was issued, they said. Sixty-two-year-old Mallya, facing charges of fraud and money laundering amounting to around Rs 9,000 crore, left the country on March 2, 2016 and is fighting litigation against his extradition to India.